Wet & Dry technology. Pivoting head: Smoothly adapts to body contours for superior comfort and efficiency. With its wider, longer and deeper tweezers, it removes with precision even the shortest hairs (up to 0.5 mm). 40% wider head that removes much more hair in one movement for faster epilation. 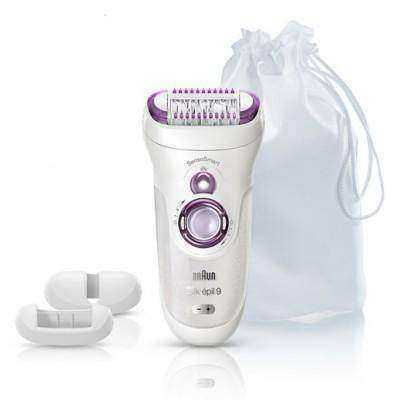 Enquire about "Braun Epilator (Silk Epil 9)"